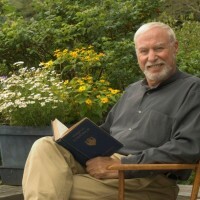 Emmy Award winning news correspondent Morton Dean is one of the best known most highly regarded and widely traveled correspondents in the news profession. A solid writer, a gifted storyteller, his face and voice are among the most recognizable on the American scene. Truly one of America’s most respected, trusted and experienced news correspondents. As a traveling correspondent he covered many historic, headline-making stories around the world for CBS News (20 years) and ABC News (14 years). Open a map of the world. Throw a dart at it. Mort has been there. He anchored regular newscasts for both networks. His Sunday, CBS Evening News was rated number one during his entire tenure. 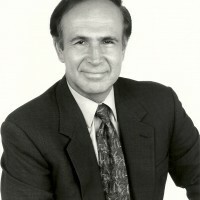 Mort anchored the news segments on Good Morning America for several years during which GMA had the number one morning rating. Mort also anchored literally hundreds of network news specials, documentaries and breaking news stories for both networks. He was a founding member of RID, a national organization devoted to reducing deadly, hospital borne infections. He’s the voice & face of PiperJet (see You Tube), Piper aviation’s first of its kind single engine private jet plane. Founding partner of M.E. Communications Partners; advises business executives on how to communicate more effectively. Contributing editor for several magazines. Mort has had extensive experience covering international terrorism. In fact, he may be the only American news correspondent to have covered all the major terrorist attacks against U.S. interests linked to Osama Bin Laden and Al-Qaeda prior to September 11th: When a deadly terror bomb blasted the U.S. Cole in Yemen, he was dispatched there as ABC’s lead reporter. He was in Nairobi to cover the bombing of the U.S. Embassy and was dispatched to Sudan to cover the U.S. retaliation. And when the World Trade Center was first attacked in 1993 by terrorists, Mort was the first and only newsperson to see and report from inside the garage where the truck bomb detonated and later he covered the investigation into the attack. He reported from Iran during the hostage crisis and from Somalia during the U.S. intervention. Mort’s passion for following the story wherever it led often put him in the line of fire. While covering the turmoil in Israel and the Palestinian Territory he was caught in a potentially deadly ambush near Hebron. Mort was nominated for a national Emmy Award for his reporting during a fierce gun battle in Kosovo involving U. S. Marines who were pinned down by snipers. Those reports and others were often lead stories on various ABC newscasts and remain among the most compelling images of those conflicts. Mort has reported from Saddam Hussein’s Iraq during numerous assignments. After the Iraqi invasion of Kuwait he was the first network TV correspondent to report from Kuwait City while it was still under Iraqi occupation. His reports from Belgrade for 30 days during the NATO air attacks helped ABC News win an Emmy for its coverage of the conflict. His experiences could fill many books. Mort has covered presidential campaigns, national nominating conventions, the civil rights struggle, summit meetings, Papal visits, and space missions. Mort reported on the historic presidential election in Mexico and the Boris Yeltsin resignation from Moscow. When the revered Walter Cronkite stepped back from covering NASA activities, Mort became the lead space correspondent for CBS News and later reported on NASA activities for ABC News. He has also reported extensively from Russia on the Soviet/Russian space program. While at CBS News, he covered the Vietnam War and did so with distinction. Add to all that the datelines from Cambodia, Thailand, Egypt, Saudi Arabia, Great Britain, El Salvador, Peru, Dominican Republic, Jordan, Kuwait, Somalia, Turkey, and Cuba from the early days of the Castro regime right up to and including the Elian Gonzales affair. It’s safe to say as a newsman Morton Dean has seen it all and done it all. Mort was born and raised in Fall River, Massachusetts. Graduated from Emerson College in Boston, he has among numerous honorary degrees, one from his alma mater. He is the father of three children. One daughter is an attorney. Another works for a Boston based investment company. His son is a former corporate communications consultant who now works in the Capitol Hill office of US Senator Scott Brown. Mort is also an author. He recently completed his first novel The Devil’s Instrument. Previously he authored several books including The Return to Glory Days published by Simon & Schuster Pocket Books. Surprisingly it’s not about the stories he has covered. It’s a guide to the treatment of sports injuries for everyone over thirty.